Romie de Guise-Langlois | The Chamber Music Society of Lincoln Center. Praised as “extraordinary” and “a formidable clarinetist” by the New York Times, Romie de Guise-Langlois has appeared as soloist and chamber musician on major concert stages internationally. She has performed as soloist with the Houston Symphony, Ensemble Connect, the Burlington Chamber Orchestra, and the Guanajuato Symphony Orchestra, as well as at Festival Mozaic, Music@Menlo, and the Banff Center for the Arts. She was awarded first prize in the Houston Symphony Ima Hogg competition, the Yale University Woolsey Hall Competition, the McGill University Classical Concerto Competition, and the Canadian Music Competition. 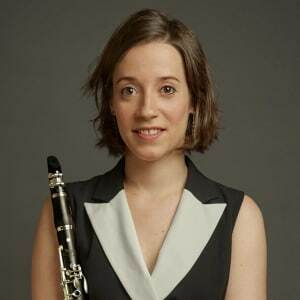 She has performed as principal clarinetist for the Orpheus and Saint Paul chamber orchestras, NOVUS NY, the Orchestra of St. Luke’s, the New Haven and Stamford symphony orchestras, and The Knights Chamber Orchestra. 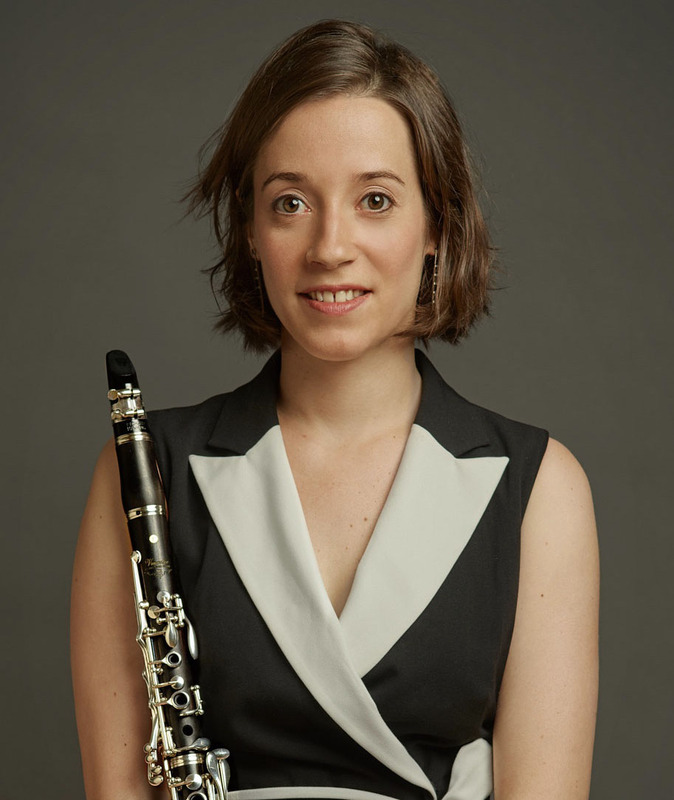 She is an alum of Astral Artists, Ensemble Connect, and The Bowers Program (formerly CMS Two), and has appeared at series such as the Boston and Philadelphia chamber music societies, Musicians from Marlboro, the Santa Fe Chamber Music Festival, and Chamber Music Northwest, among others. A native of Montreal, Ms. de Guise-Langlois earned her bachelor’s degree from McGill University and her master’s degree from Yale School of Music. She is currently assistant professor of clarinet at UMass Amherst.